Thanks to Kelly for this photo from a bar/restaurant in Phoenix. Boulders on Broadway. 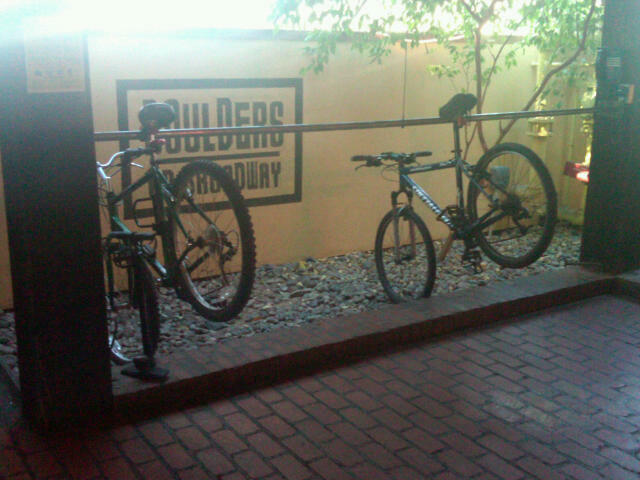 They have indoor bicycle parking for patrons. Nice.